Put your foot down on the accelerator and increase the speed of your driving lessons with Edwards driving school. Our intensive driving courses covering the Basingstoke and Winchester area (crash courses) are specifically designed driving courses, incorporating over 30 years wisdom in the industry. We have tailored the intensive driving lessons in Winchester and Basingstoke to cover all aspects of the driving syllabus in a short amount of time in order to get you through the test in as little as 1 week! Edwards driving instructors are intensive driving course specialists, we only do crash courses in the Winchester and Basingstoke area. There is an Edwards intensive driving course or crash course for every learner driver, whether you are a completely new driver, or have had previous driving lessons experience. We believe the following benefits make an intensive driving course superior to the standard hourly driving lessons. We can get on the road in as little as 1 week! The intensive driving courses (crash courses) are taken in blocks of at least 3-5 hours at a time. Through learning in this manner we have found your driving improves quicker and information is retained better as it is practiced more frequently. I’m a complete beginner, so what does the beginner’s intensive driving course around Basingstoke and Winchester include? Our intensive driving course includes 3 overlapping stages, each increasing in skill and difficulty. Once the learner completes the basic skills they will then move on to the harder components of driving. If taking a test in Winchester this is based on Christchurch Road, or the Brighton Hill Centre in Basingstoke. By the end of the intensive driving course you will be comfortable and confident driving around your local area. The driving school are more than happy to use a different test centre if it means getting a faster test. And how much will the Edwards beginners intensive driving course in Basingstoke and Winchester cost? 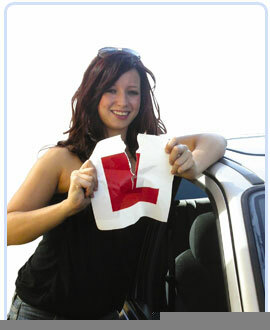 The beginners intensive driving course in Basingstoke and Winchester is only £695. This includes the driving test fees, free pass plus modules and other benefits listed in the bullet points at the top of this page. The course is based on 3 full days of lessons, which we find is a great platform to get you driving test ready. If the learner has had previous driving lessons, the crash course will focus on those areas which need most improvement to get them ready for the driving test. The driving course will be tailored specifically for the learner driver’s requirements. It is best to call on 07929 661 714 for an idea of the price as we will need to discuss your previous experience to estimate how many driving lessons you will need. To book or for further information please contact head office on 01202 751959 or 07929 661 714, or drop us an email and someone from the office will be in touch. Our intensive driving courses are available on areas shown in the map and include Reading, Basingstoke, Newbury, Wokingham, Bracknell, Camberley, Farnborough, Staines, Windsor, Chertsey, Weybridge, Guildford, Aldershot, Farnham, Andover, Hungerford, Wantage, Petersfirld, Midhurst and all the surrounding areas.